The West Lane Inn, built in 1849, combines the charm of an intimate country inn with many conveniences of a hotel. 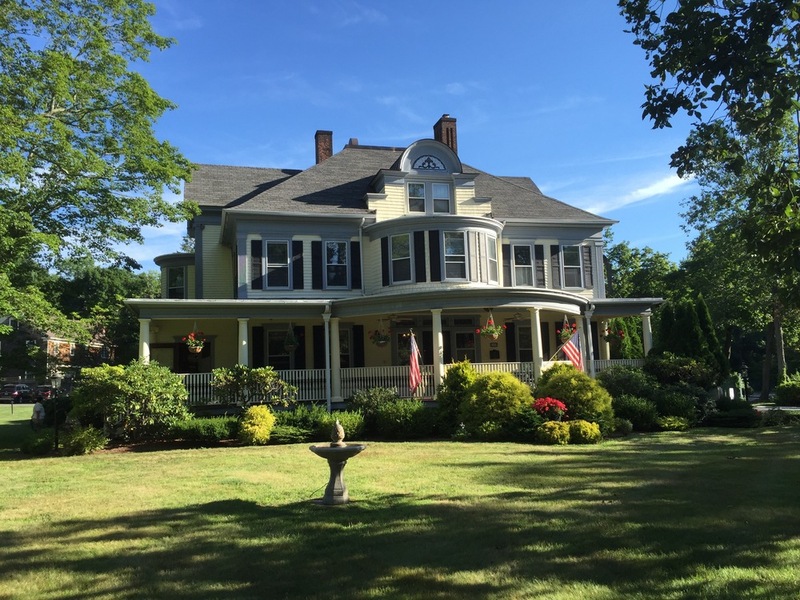 For those seeking a special getaway, we are situated in the historic district of Ridgefield, CT. One of New England’s most scenic colonial towns, Ridgefield is located in Fairfield County only 1 hour and 15 minutes north of New York City. To quote from Frommer’s guide, “no town in Connecticut has a grander, more imposing main street, impressive any time of the year, the town is nonetheless a true evocation of the New England character, a hint of Vermont ”. With a graceful and welcoming entrance, guests are invited to enjoy a complimentary continental breakfast with an optional A La Carté menu served on the terrace or in our cozy breakfast room. Our 18 rooms are appointed with either one or two queen beds, or a king bed. Each room has air conditioning, full private bath with heated towel rack and hair dryer. In addition to the above, iron, ironing board, HD Direct TV, refrigerator, free WiFi and telephone are also provided. Laundry and dry cleaning service are available. If you need a crib or cot please let us know before you check in. We have three floors, no elevator. We are a non smoking Inn and pets are not permitted. The West Lane Inn serves breakfast only, see our breakfast menu here. Ridgefield is known for having some of the finest restaurants to suit any palate. Voted best French restaurants by CT Magazine is our neighbor Bernard's, and Luc's Cafe which is located in the center of town. Chez Lenard "Hot Dog Man"
Ridgefield offers an array of activities, including the popular Ridgefield Playhouse and outdoor concerts at Ballard Park. The acclaimed Aldrich Museum of Contemporary Art and the Keeler Tavern is just a five minute walk to Main Street which also provides a myriad of shops and antiquing. Take a short drive to one of our national parks, the Weir Farm, or the Philip Johnson Glass House. We also have some of the best restaurants in the area. The town of Ridgefield was ranked number one in the state of Connecticut by Connecticut magazine. Ridgefield was also rated the safest town in the state. I know the reservation is not made until I call or email you with my valid credit card information, billing address and cell number.